Buster Keaton and Sybil Seeley star as newlyweds who receive a portable house as a wedding gift. But when he tries to construct it, things quickly go awry. 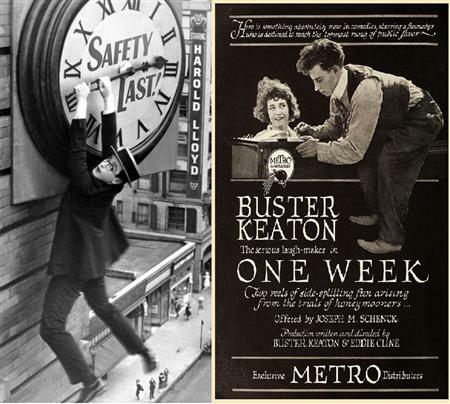 Vintage physical comedy from the genius of slapstick and master of timing. A boy (Harold Lloyd) moves to New York City to make enough money to support his loving girlfriend (Mildred Davis), but soon discovers that making it in the big city is harder than it looks. When he hears that a store manager will pay $1,000 to anyone who can draw people to his store, he convinces his friend, the "human fly," (Bill Strother) to climb the building and split the profit with him. But when his pal gets in trouble with the law, he must complete the crazy stunt on his own.